I was sent these masks for review. All opinions are mine alone. When Sheet Masks are non like I’ve ever tried before. While most sheet masks have are paper-based, these natural, bio-cellulose sheets are made from coconuts. They are gentle enough to use on burn patients! It is incredibly light weight and holds more essence (the skincare element on sheet masks) than any other sheet mask. Since they are light weight and hold a large amount of essence, the masks fit very well so it maintains contact with your skin the entire time. I absolutely love these! I was sent two masks to try out, and I can not decide which one is my favorite. I was sent the Glamour Base and the Travelemate. The Glamour Base is geared towards getting your skin ready to wear make up. It contains ingredients to improve the elasticity of your skin and plump it up. All of the When masks contain hyaluronic acid, which helps moisture stay on your skin. The Travelmate is perfect for, you guessed it, traveling! Your skin really takes a beating when you travel. It gets dry, exposed to different elements, and being tired affects your skin as well. Since When Masks are portable, it’s easy to take with you wherever you go. The Travelmate contains soothing ingredients like chamomile and herb extracts. It is truly pampering. If you’ve never tried sheet masks, I highly recommend you try this brand first. 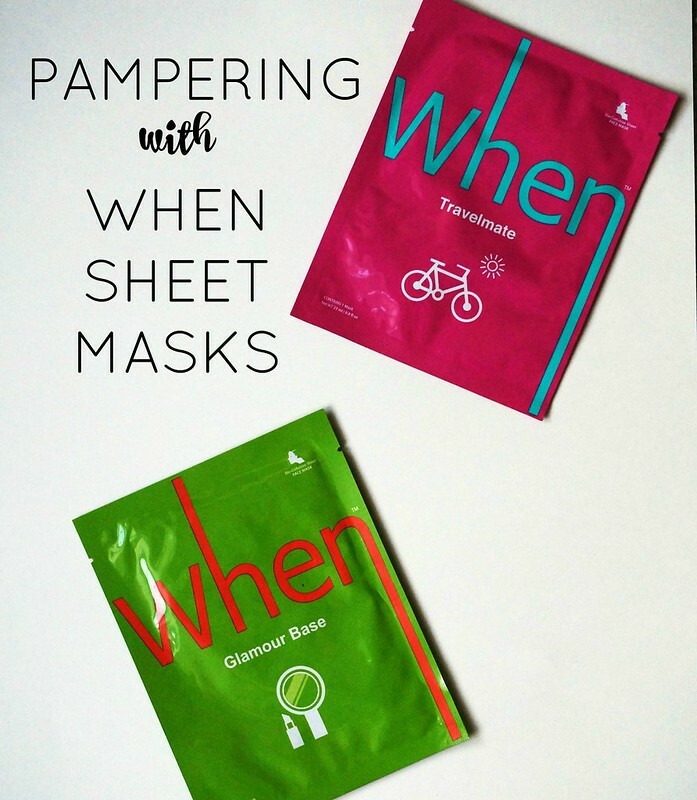 Your skin will be so spoiled, you might never tried another brand of sheet masks again! Next Post Fancy Footwork & a Giveaway!